Building Panels | GEF, Inc.
GEF Incorporated is one of the leading providers in FRP building materials. We can provide various style panels for easy fabrication and installation on site or we can design, fabricate and send to the site for easy assembly. One structural setup (Composolite®) is a system of 5 interlocking components which offers simplicity with an almost unlimited number of configurations. 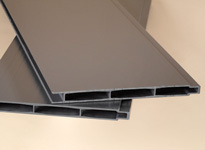 If you like tongue-and-groove, another setup (Durashield®) offers an insulated or non-insulated panel. COMPOSOLITE® panels feature integrity molded longitudinal grooves into which a connector or toggle is inserted to lock panels and connectors together securely. 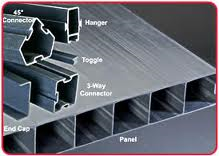 Three-way and 45° connectors allow the system to turn corners and facilitate the joining of walls or sides. DURASHIELD® is a tongue-and-groove fiberglass pultruded panel made of a pultruded skin over a foam core. Panels are designed to be used as walls, roofs and covers. 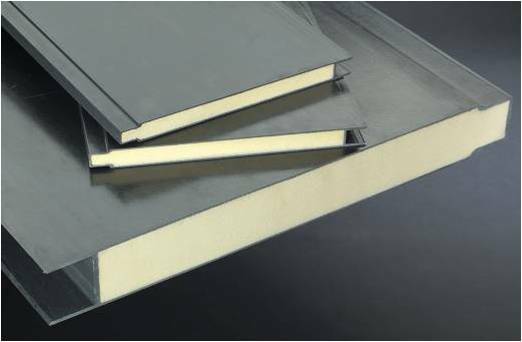 DURASHIELD HC® is a cost-efficient alternative to DURASHIELD® because the building panel has a hollow core. This panel is a sensible choice for any type of roofing, flooring, enclosure or screening that does not require insulation.